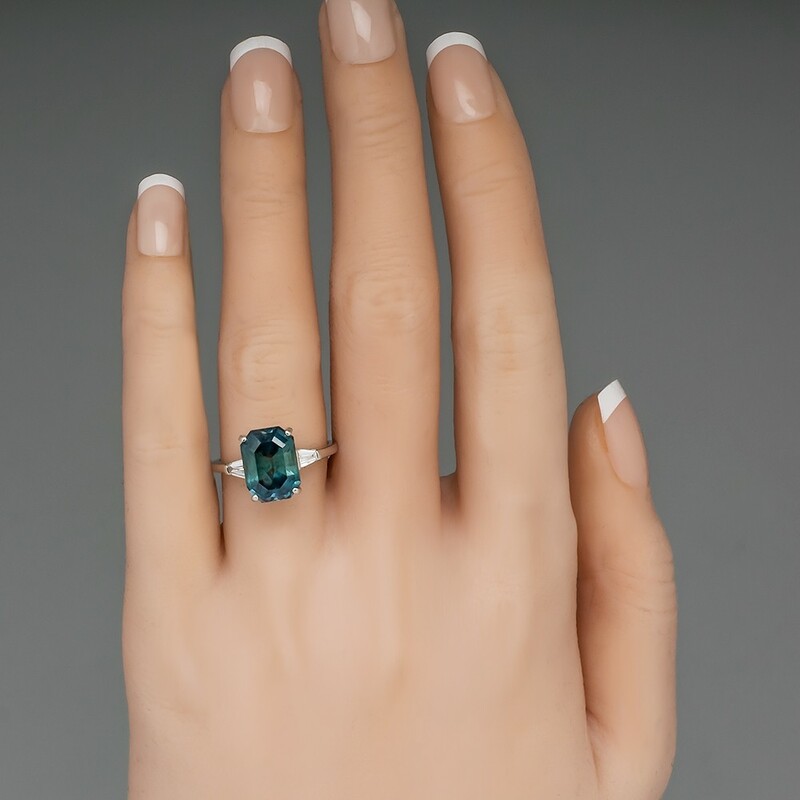 The ring is centered with a cut cornered rectangular mixed cut, color change, Montana sapphire in a four-prong setting. The shoulders are each channel set with one (1) tapered baguette cut diamond. The ring measures 10.7mm at the top, rises 8.7mm above the finger, tapering to 1.0mm wide and 0.9mm thick at the base of the shank. 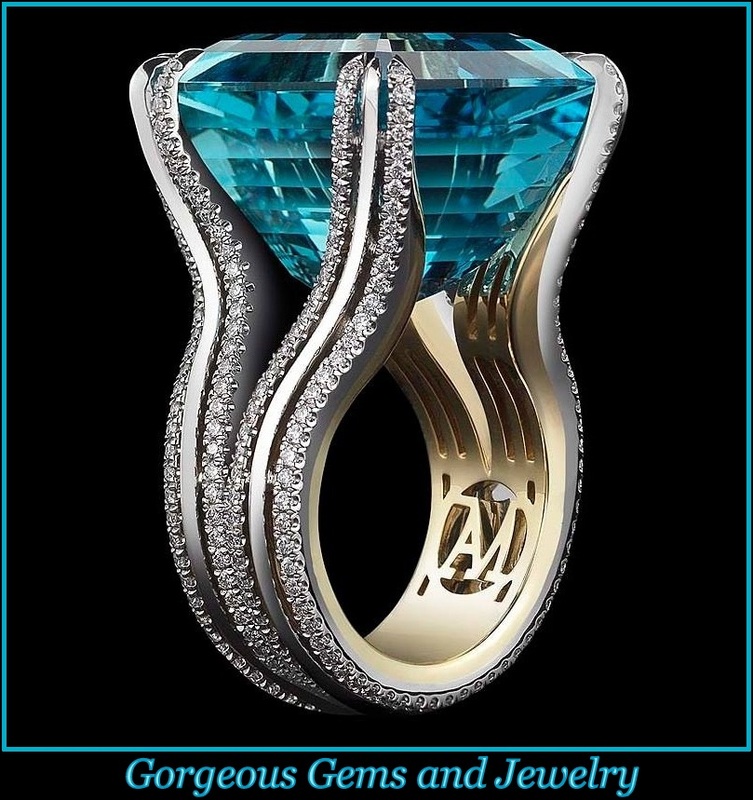 We offer complimentary ring sizing to fit. 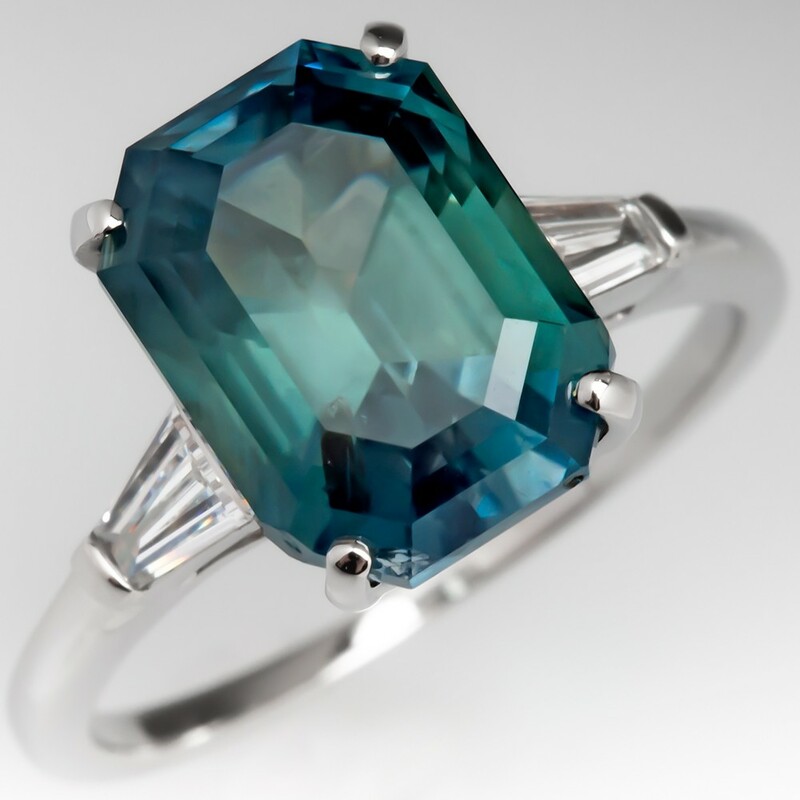 This sapphire was mined in Montana, USA, is untreated showing light clouding, and naturally changes colors in different lighting from slightly greenish blue to slightly bluish green.